I wanted to include a picture of my friend Shaun with me at the top of this post before talking about him, but we looked really stupid in high school so I couldn’t do it. Instead, I found this old video clip that jokingly explained why an acquaintance of ours, kuno5, stopped joining our IRC channel. Shaun uses the name Scyber online along with a few others such as Yuber and variations of Scyber. I met Shaun in middle school, and we became best friends. After graduating and heading to college, I stopped seeing him as much, but we’re still friends. As teenagers we got into a lot of various kinds of trouble together. Luckily, neither of us were successfully expelled! A couple years ago he was nice enough to buy me a BlizzCon ticket so we could hang out, which was very cool of him. He recently claimed to have beaten World of Warcraft, but some of his friends didn’t believe him. We could debate what beating the game means to help decide whether or not he did. On the other hand, we could check his character (at least before Mists of Pandaria releases) to see that he has 100% of the achievements. Yeah, I think he beat it. He answered some questions on reddit, so feel free to check that out. I like that someone realized who he was in iRO (Ragnarok Online) as well. If I recall correctly you were Yuber there, right? Me and my friends would tell tales of legend of the guy with full +10 gears, +10 Steel Chonchon carded Full plates, whatever. 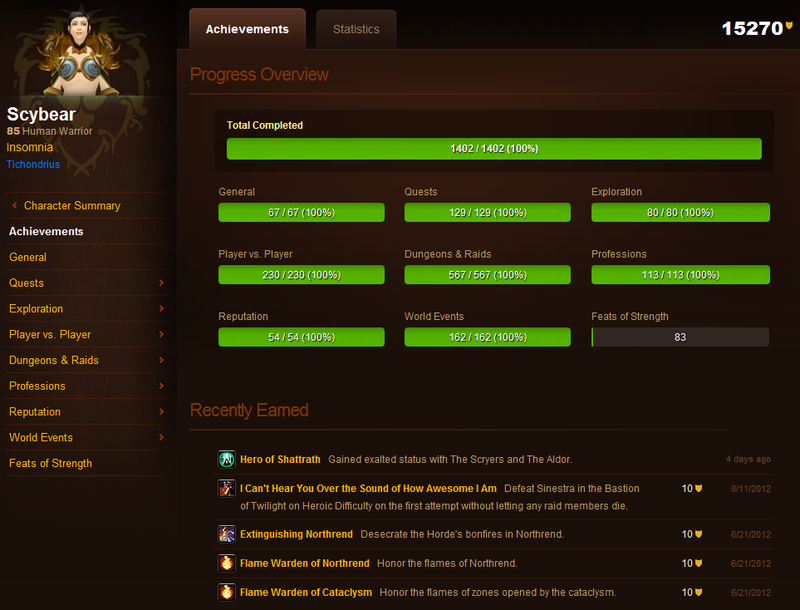 With this WoW milestone you’re essentially one of the final bosses of MMO gaming, though. Rock on. He’s pretty much beaten two MMOs. Back in iRO, he kicked me from the guild for not playing enough. That summer I was eating, sleeping, and playing Ragnarok. I was sleeping too much apparently. Also, remember how I didn’t want to share a picture of us? Well here’s one of him from the last day of our junior year in high school tying up a couple girls. And reddit user Roboticide called him well-adjusted! Okay, actually he is a pretty well-adjusted guy! Congratulations, Shaun!